It might not make for your favorite topic, but it is also necessary for running a successful business. We’re talking about accounting. How you manage your store’s orders, expenses and inventory will have a big impact on your productivity, tax compliance and even your peace of mind. Fortunately for you, there are countless tools to help you deal with your finances without hiring expensive consultants. Most of these tools will plug right into your store, making it easier than ever to keep track of your revenues and expenses. 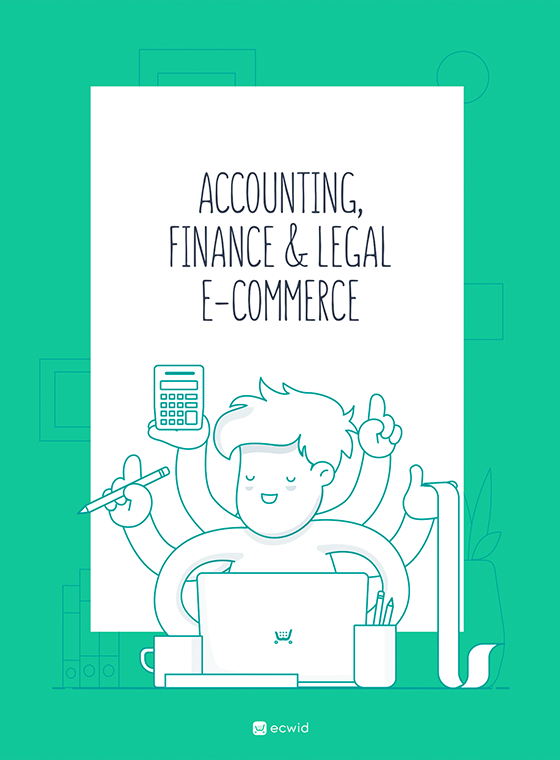 Let’s look at some of the best accounting tools for e-commerce store owners. It used to be that a business would only have to pay sales tax in the state it was operating in. Ohio-based businesses paid Ohio sales tax while New York-based businesses paid NY tax. Thanks to the internet, anyone can buy from your store, regardless of their location. This means that an Ohio-based business might have only 5 customers from Ohio, but 100 from California and 20 from New York. To counteract the loss in sales tax, a number of states in the US have enacted e-commerce state tax laws (colloquially called Amazon laws). Under these laws, you, the business owner, is responsible for collecting and filing sales tax in every state you sell products in. That is, if you get 10 customers from Ohio and 15 from California, you will have to collect and file taxes in both these states. As you can imagine, this is an administrative nightmare for any e-commerce entrepreneur. It isn’t unusual for business owners to spend weeks just collecting and calculating taxes on every transaction. This is where TaxJar comes in. 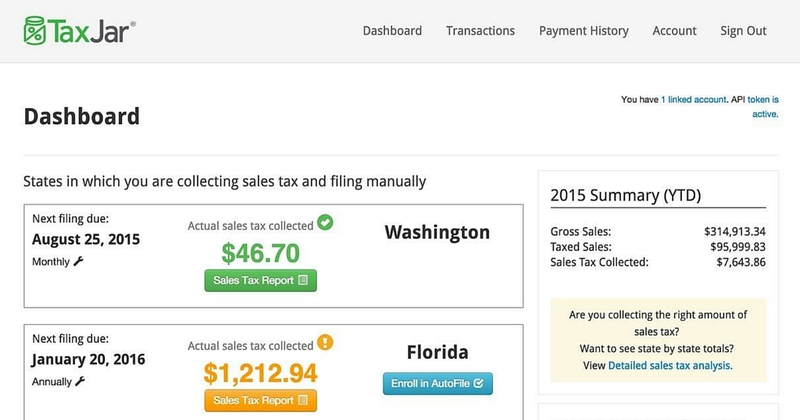 TaxJar automates sales tax collection and filing so you can focus on running your business. The app plugs right into your existing store. You’ll see tax filing dates and due sales tax amount for every state based on your transactions. Just so you don’t miss a filing date, TaxJar will also let you file taxes automatically. This is a massive time saver for any business. As a US-based business, you will save weeks of your time by using it. Expected vs. Actual tax collection feature shows you how much you are collecting vs. what you should be collecting. Ecwid integration: TaxJar plugs right into your store through the Ecwid app marketplace. You can find the app here. Intuit’s QuickBooks is a name familiar to most business owners, even if they’ve never dealt with accounting before. This feature-rich tool has long been the gold-standard for small business accounting, and it keeps getting better with every iteration. What makes QuickBooks particularly useful for e-commerce entrepreneurs is its e-commerce specific features. Thanks to extensive integrations, you can record your sales from nearly any channel (your own store, Amazon, eBay, etc.). You can also sync your finances from multiple payment systems (such as Paypal, Square, etc.). Additionally, QuickBooks will help you track your inventory, keep track of your bills and even capture any expense by taking a picture of the receipt. You can choose from QuickBooks desktop or opt for the online version (QuickBooks Online). 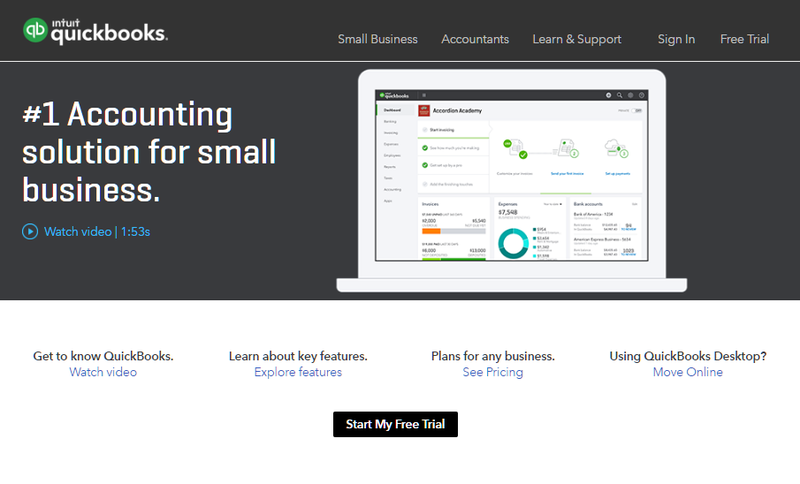 On the downside, QuickBooks can be intimidating for a first-time user. This is software CPAs use — it has too many features for the average business owner. Expect an initial learning curve. Ecwid integration: You can plug-in QuickBooks to your Ecwid store with this pre-built Zapier zap (see more below). Learn more about this integration here. Freshbooks is one of the more popular online-only accounting tools with thousands of paying customers. Unlike other business accounting tools, Freshbooks was built for small businesses and freelancers from the ground-up. This makes it perfect for entrepreneurs who want something feature-rich, yet easy to use. This small business-first approach can be seen in Freshbooks emphasis on time tracking and invoicing. You have a lot of control over your invoices, including charging upfront deposits and recurring payments. To use FreshBooks as an e-commerce accounting solution, you can send new orders as invoices to Freshbooks. Each new customer becomes a client, giving you the ability to send invoices/receipts via email and tracking expenses. What makes Freshbooks great for e-commerce is its friendly user-interface. The app does a good job of hiding away complex features and giving you quick updates through the dashboard. You won’t have to trawl through lengthy user manuals to get up to speed with this one. Ecwid integration: You can easily connect Freshbooks to your Ecwid store through the Freshbooks integration app. This will allow you to use Freshbooks as a full-fledged e-commerce accounting tool. TurboTax, Intuit’s tax preparation and filing software, is a household name in the US. TurboTax Business is its grownup, business-focused sibling. 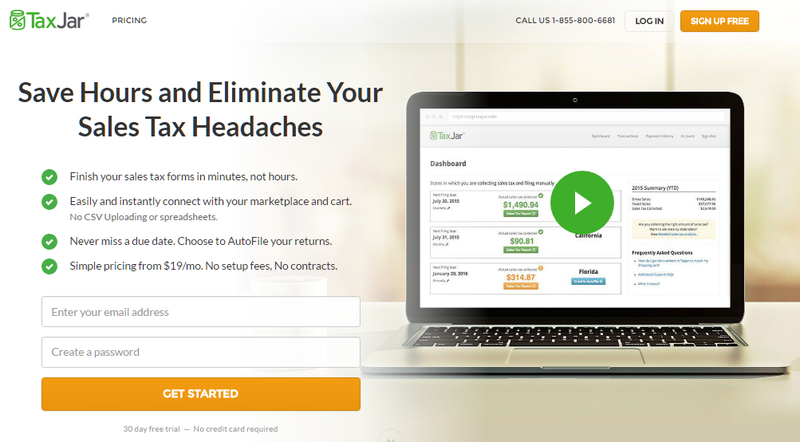 TurboTax is first and foremost a tax filing tool, not just an accounting tool. It plugs right into Quickbooks to help you import your financial data. Once you’ve imported your data, you can file taxes for any US-based S Corp, C Corp, partnership or LLC. Since most entrepreneurs incorporate either as LLCs or C Corps, you’ll be good to go right out of the box. What makes TurboTax Business a worthwhile investment for e-commerce entrepreneurs is its built-in guidance for new businesses and industry-specific tax deductions. You can use these features to maximize your deductibles and minimize your tax bills. Additionally, you also get unlimited W-2 and 1099 forms. If you frequently hire freelancers, this will make tax filing much easier. Plus, you can also file taxes for multiple businesses — perfect for entrepreneurs running multiple stores. Ecwid integration: You don’t need an Ecwid integration to use TurboTax; you only need to import your accounting data. If you’re using QuickBooks, this process is pretty straightforward. 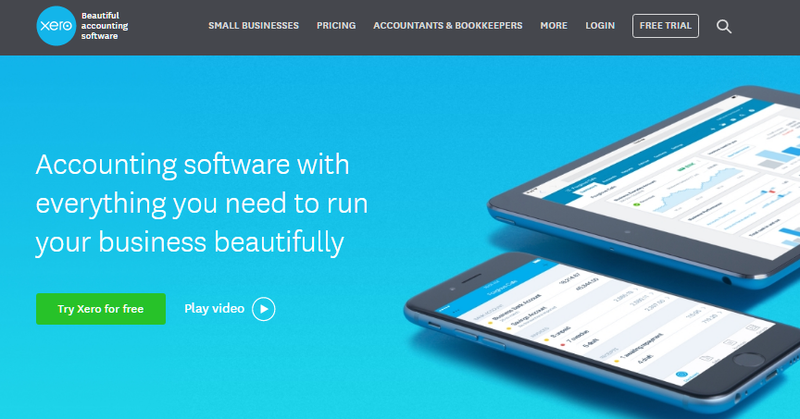 Xero is a powerful accounting solution for businesses of all sizes. In terms of features and market adoption, it competes directly with QuickBooks and Sage. What makes it different is its focus on usability and design (hence its tagline — beautiful accounting software). Xero has a well-developed list of features for small businesses, especially e-commerce store owners. This includes inventory tracking, order tracking and sales tax calculation. You also get enhanced data security, expense claims, and payroll management. Another advantage of choosing Xero is its popularity among accountants and bookkeepers. When you get an outside CPA, they’ll likely already know how to make sense of data inside Xero. Ecwid integration: Connect Xero to your Ecwid store through the Xero app from Ecwid App Market. Business plan required in Ecwid to access the app. Further reading: How Much Money Do You Need to Open an Online Store? If you’ve been searching for business apps online, you couldn’t have escaped Zoho. Zoho bills itself as an operating system for businesses. It offers a range of business solutions, ranging from helpdesk software to business email. 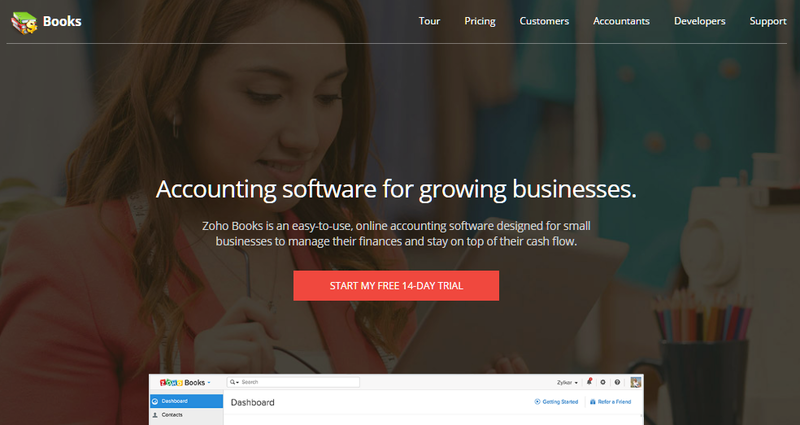 Zoho Books is Zoho’s take on accounting software. You get inventory tracking and order tracking baked right in. There is also a robust contact management solution (which also integrates with Zoho’s CRM), a billing solution and support for recurring payments. Zoho’s reporting features are pretty comprehensive. You can generate in-depth purchase and sales tax reports. You can also share reports with others through role-based collaboration. Although it’s not as feature-rich as some of its competitors, the small business-first approach and close integration with other Zoho apps makes it a worthy alternative for e-commerce entrepreneurs. Ecwid integration: You can use this custom Zapier zap to connect your Ecwid store to Zoho. The Ecwid app store already has a number of accounting apps and we keep adding more apps every year. However, there will be times when you want to to use an app that isn’t available in the Ecwid store. Zapier is a business automation tool that essentially allows you to connect two apps together. Each of these connections is called a Zap. Zaps are extremely easy to use — just log into your account for each app, give Zapier the permissions it needs and you’ll be good to go. You can use these Zaps to automate a number of business processes. For instance, you can connect Google Sheets to your Trello account to automatically create a Trello card based on a new row in Google Sheets. Ecwid has a number of existing Zaps in Zapier. You could send new orders to Xero or automatically add new customers to Infusionsoft. Zapier is a powerful solution when you can’t find a custom integration in Ecwid’s store. Zapier’s list of Zaps keeps growing so you can almost always find a way to integration two apps (unless you’re using an old or obscure product). If you can’t find an integration on either the app store or Zapier, you can create a custom integration through Ecwid’s API. Ecwid’s API gives you a lot of room to customize your Ecwid experience. You can customize the way the storefront looks or even add your own applications to the Ecwid control panel. The API works on REST interface, which gives you the ability to read and edit data from your store. Of course, creating a custom integration through the API is technically challenging. You can either hire a developer to create the integration for you, or you can get one of our integration experts do it for you by contacting us through this form. Custom integration through the API gives you a lot of control, but it can also be expensive. For most purposes, you should stick to the Ecwid app store apps or Zapier’s Zaps. Accounting is a necessity for any business. What accounting app you choose will have a big impact on your business, so make sure to pick something that is feature-rich, yet easy to use. Make sure that you’ve got all your accounting/bookkeeping basics covered as well. You don’t just want to track income/expenses; you also want to calculate sales tax and file taxes when you’re running an e-commerce store. You can start by picking a solution from one of the six accounting apps shown above.